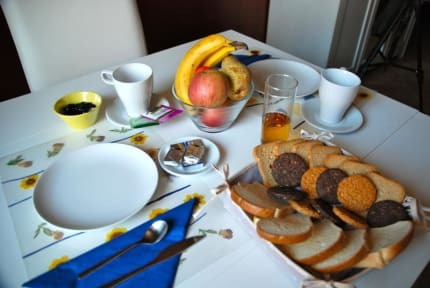 Houspitality Flowers B&B i Roma, Italia: Bestill nå! Karen and Fanny, who run the B&B, are in fact two 'adopted' Romans who combine American practicality with French taste. In our Bed & Breakfast you will find friendly attention and warm, personalized hospitality and spacious rooms. The area is very safe and offers a little bit of everything in an authentic Roman neighborhood, and there is easy access to all tourist sites and public transportation. Check in from 14.00 to 22.00. Later check in possible upon request.